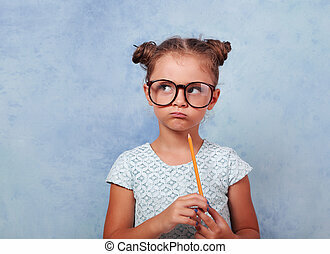 Fun grimacing happy girl in eye glasses thinking and looking up on background with empty copy spase. 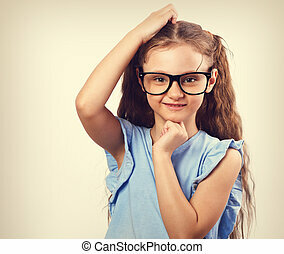 Fun grimacing happy girl in eye glasses thinking and looking up isolated on white background with empty copy spase. 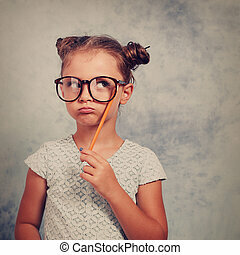 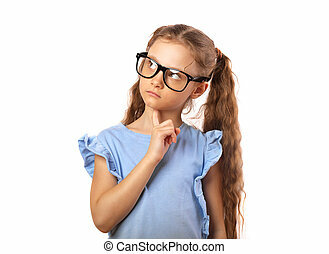 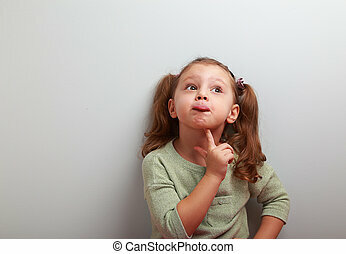 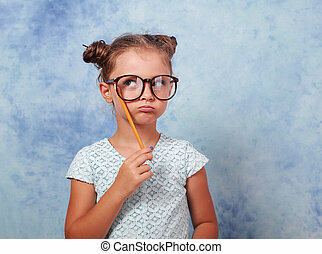 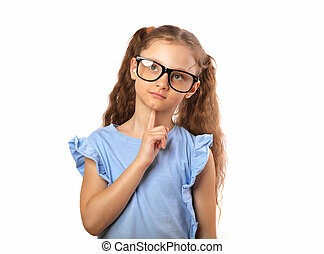 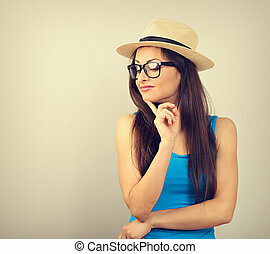 Fun serious girl in eye glasses thinking and looking up isolated on white background with empty copy spase. 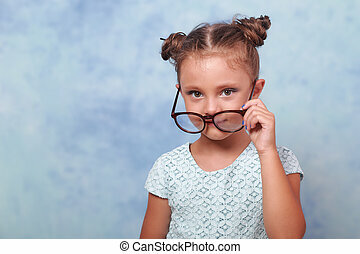 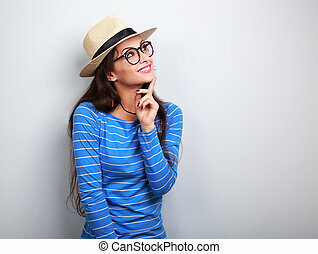 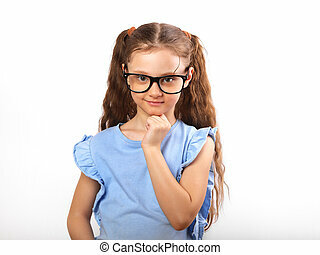 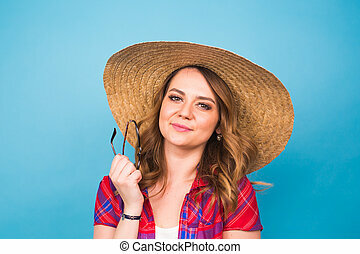 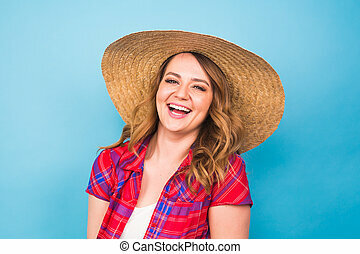 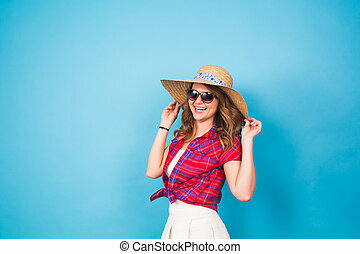 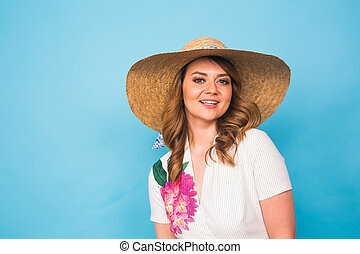 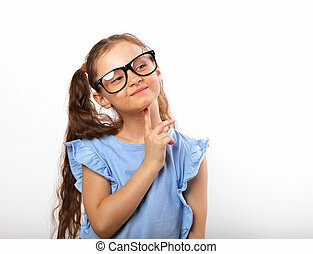 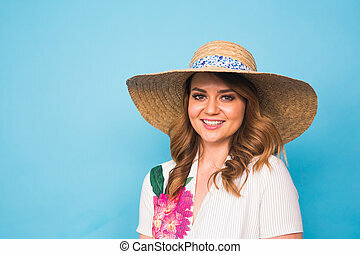 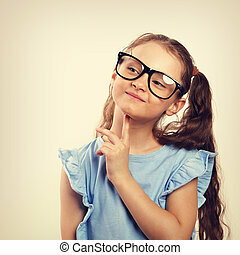 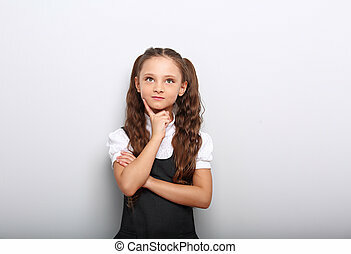 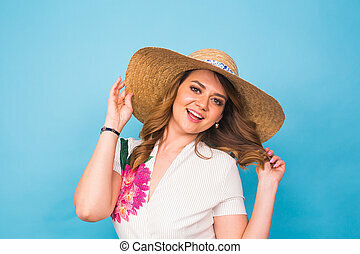 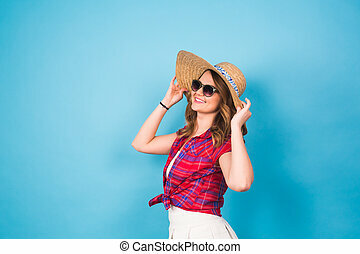 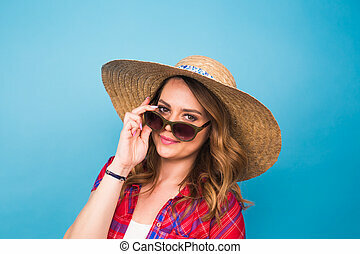 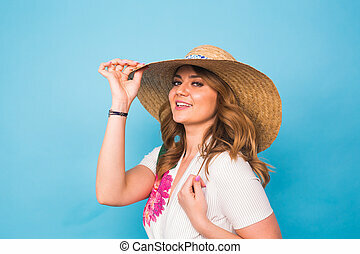 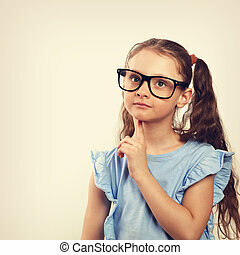 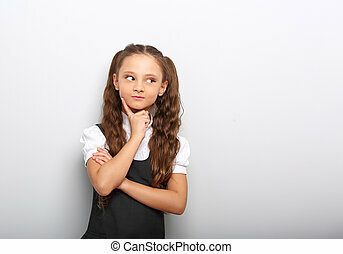 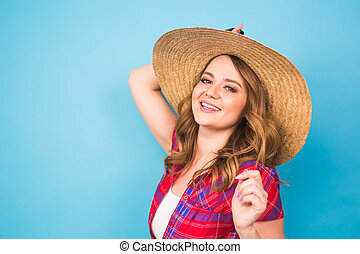 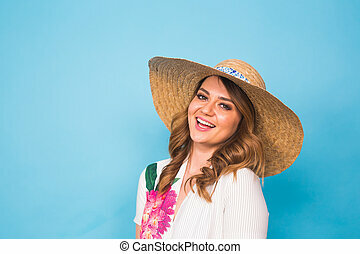 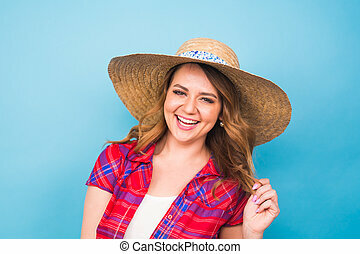 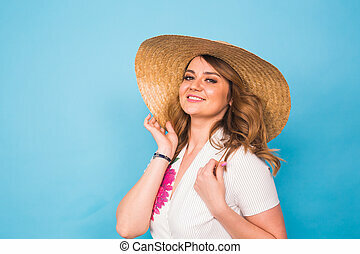 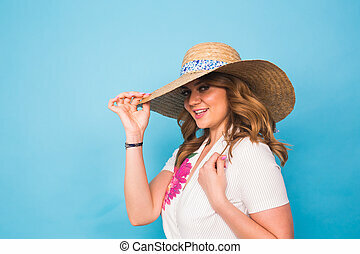 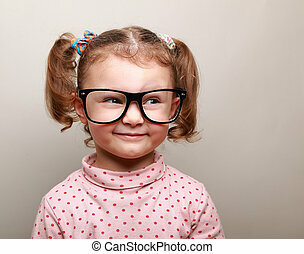 Happy smiling girl in eye glasses thinking and looking isolated on white background with empty copy space. 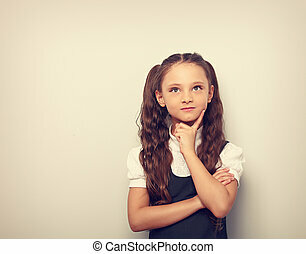 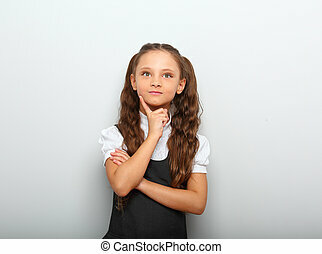 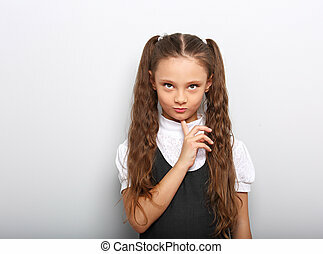 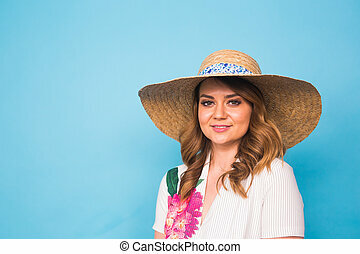 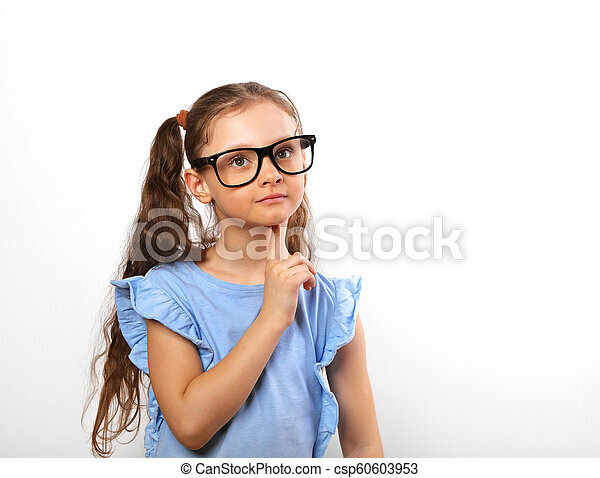 Surprising serious girl in eye glasses thinking and looking isolated on white background with empty copy spase. 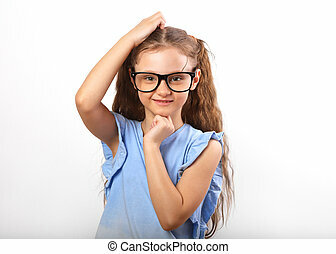 Thinking fun kid girl in glasses looking happy and holding eyeglasses the hand on blue background with empty copy space. 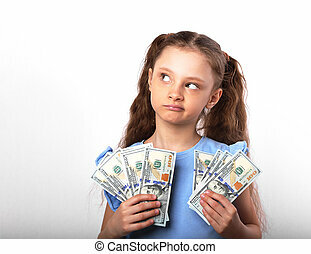 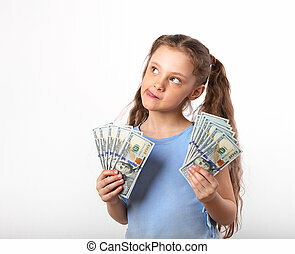 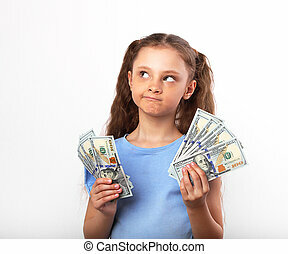 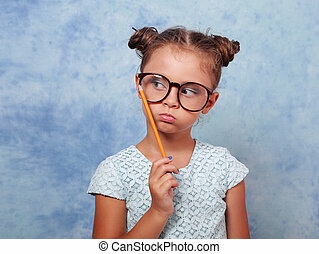 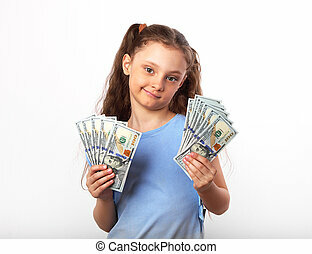 Thinking grimacing kid girl in glasses looking and holding pencil in hand on blue background with empty copy space.